Six pear shaped rose cut diamonds cluster like glittering arrows to create a diamond-studded quiver. Each rose cut diamond is individually surrounded by diamond halos, and these white diamonds make their way partially around each of the triple bands. 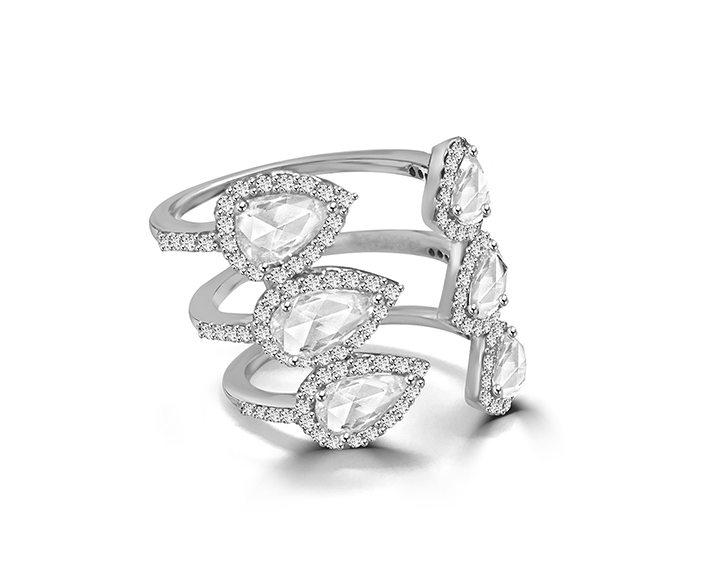 Set in 18k white gold, this ring is as beautifully unique as it is chic.